Home / Cruise Tips / Which Cruise Ships Have the Best and Biggest Pools? When most of us imagine a dream vacation onboard a cruise ship, the pool deck immediately springs to mind as a focal point. 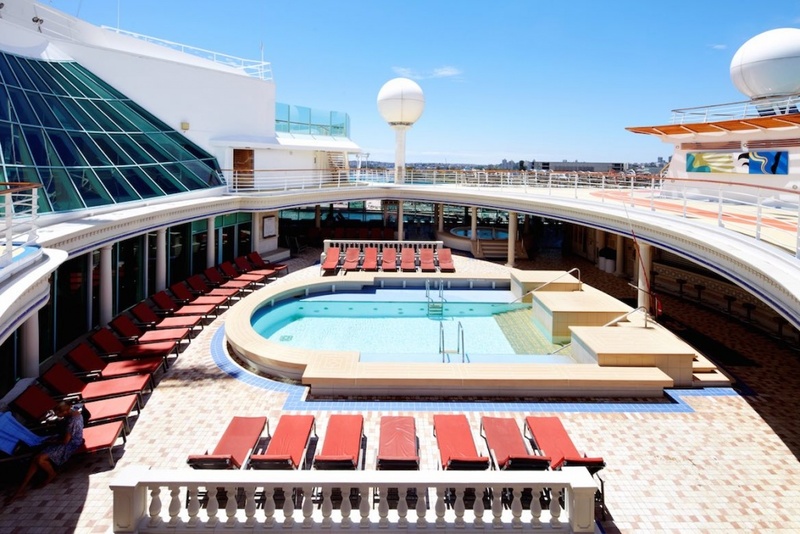 The top deck swimming pool is the place to relax, soak up the sun and immerse yourself in cruising culture. Whether you like to enjoy a cocktail while lounging on a deckchair, take in the sea breeze, or simply kick-back while people-watching, the pool deck remains a perennial cruising favourite. 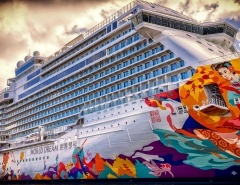 Capturing the imagination of passengers by promoting cruise ship swimming pool branding is an important feature of modern cruise marketing, and some companies are going to extraordinary and lavish lengths to lure customers. Recent innovations across the board, from huge mega-ships to boutique sailing vessels have resulted in swimming pools and aqua facilities that are the equal of any on land. 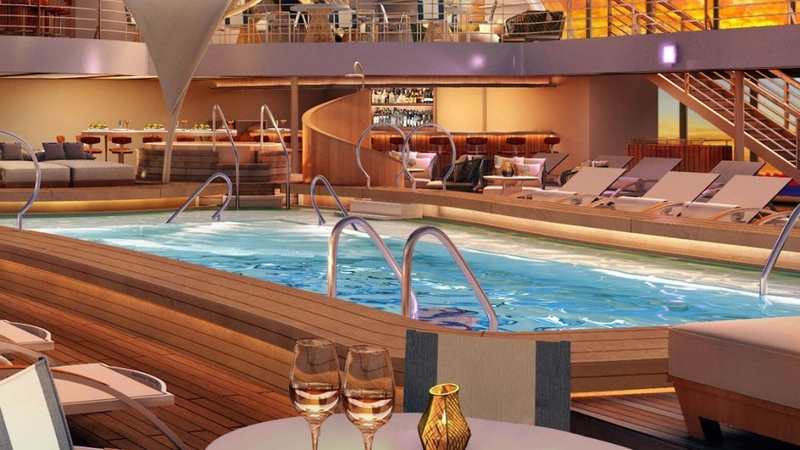 While the latest mega-ships undoubtedly have the biggest pools, the cruise ship pool range covers the gamut of tastes for every passenger type. Here are some pools and features that will stimulate your desire to jump onboard for the holiday of a lifetime. Brave youngsters, and the occasional foolhardy adult, experience the thrill of sliding down the giant 60 metre tunnel on Norwegian Epic, before splashing into the pool below. A pirate-themed walking plank extends beyond the ship on Norwegian Breakaway, and toddlers are in a world of their own in the Splash and Play Zone, surrounded by fountains, children appropriate sculptures and wading pools. The two biggest cruise ships in the world, Oasis of the Seas and Allure of the Seas, have the deepest cruise ship swimming pools. At depths of more than five metres, these pools enable cruisers to take scuba diving lessons onboard. They are also deep enough to host nightly high-diving shows featuring acrobats, dancers and synchronised swimmers. Australian voyagers are keenly aware of their surfing history which has resulted in many world championship titles. Royal Caribbean’s Explorer of the Seas and Voyager of the Seas departures from Sydney now have FlowRider surf simulators onboard, where you can learn to ride a surfboard while cruising above the vast ocean. It may not win you a world championship or qualify you to ride Hawaii’s Pipeline, but you will earn bragging rights when you show the photos to friends back home. 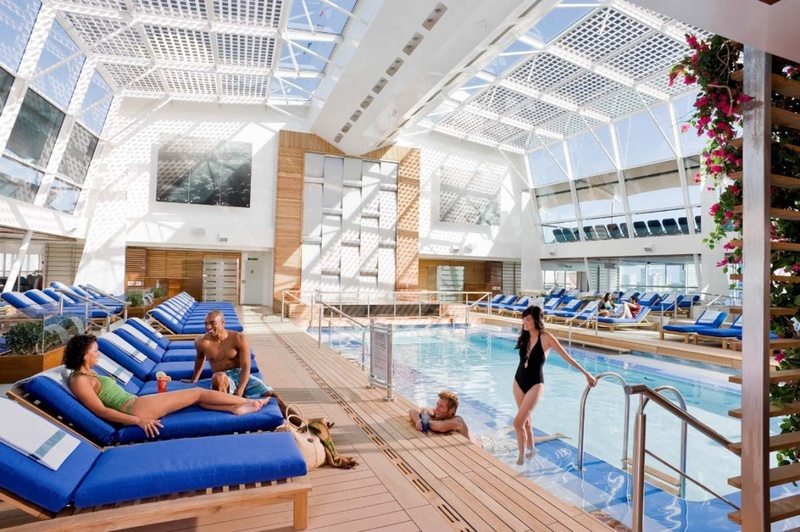 Admittedly, an adolescent theme park isn’t everyone’s style, so the Celebrity Solstice-class vessels have introduced an idyllic adults-only pool complex. A glass atrium protects passengers from the elements while they relax in intimate style in the pool and adjoining hot tubs. 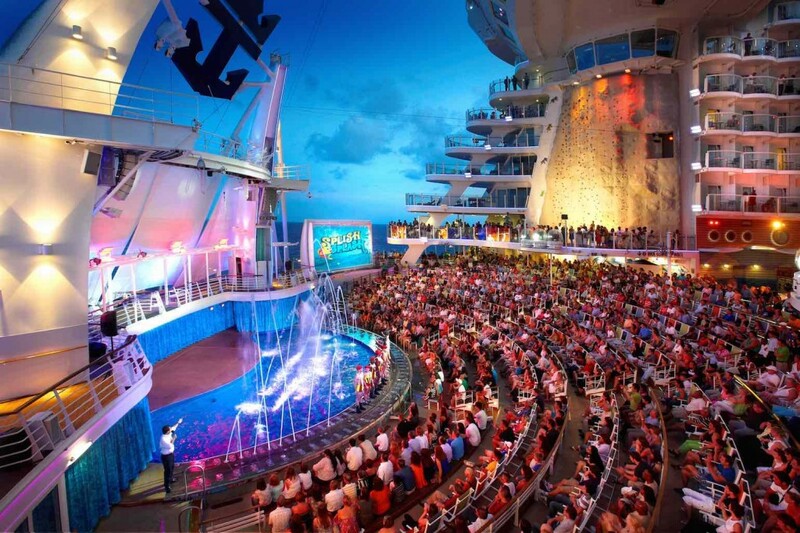 The most family-friendly of all cruise lines, Disney goes all out to entertain the kids. 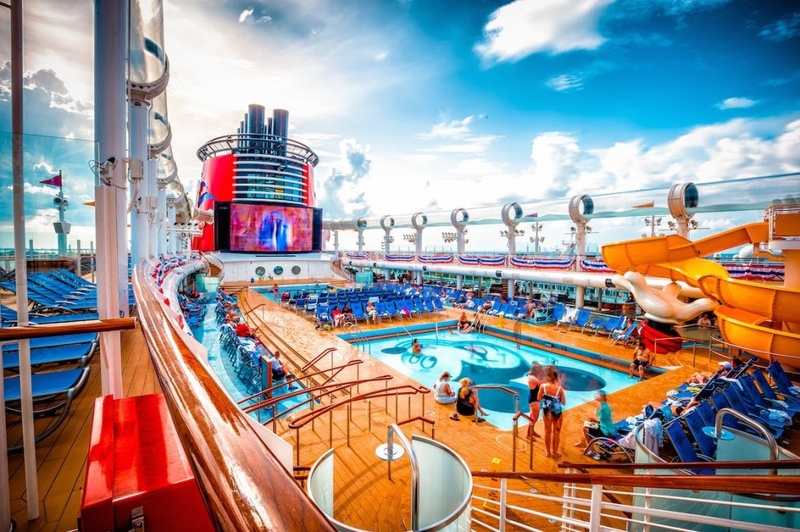 Disney Fantasy and Disney Dream have a unique feature called the Aqua Duck, where riders enjoy the thrill of a flume ride of more than 200 metres circling the top deck pool area. 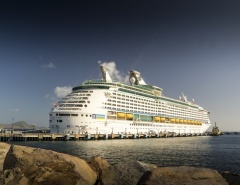 Seabourne is well known as the adults cruise ship alternative. Vessels such as Odyssey, Sojourn and Quest specialise in pampering and luxury, and their pool areas compliment the Seabourne philosophy. Pools, hot tubs and extremely comfortable seating and loungers ensure passengers enjoy the classy, boutique atmosphere onboard. Well away from the main pool deck is the therapeutic hydro-pool. 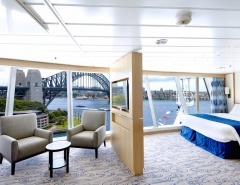 This feature on Holland America ships such as the Eurodam, Nieuw Amsterdam and Oosterdam will sooth and relax. 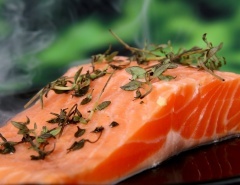 Passengers enjoy warm hydrated water that contains the perfect mix of seawater and therapeutic minerals. The diverse cruise ship pool designs keep expanding with each new launch. 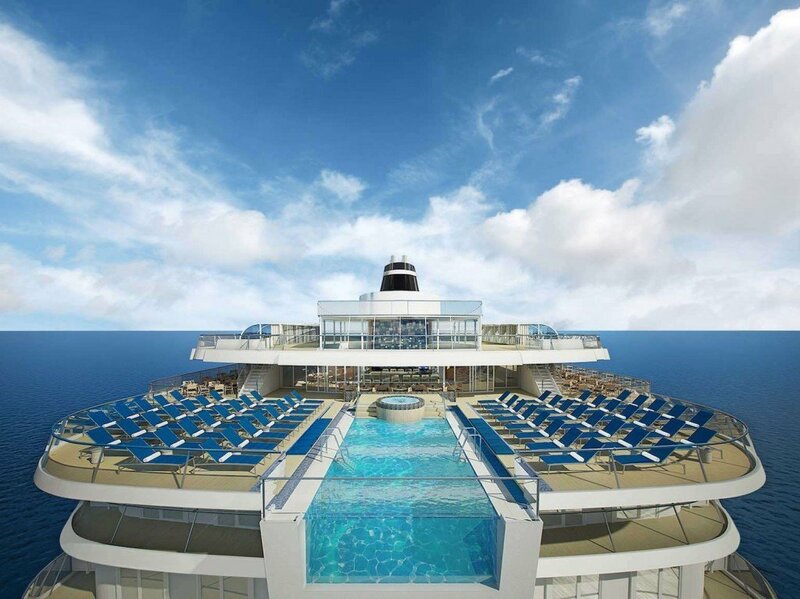 Viking Cruises hosts onboard infinity pools with glass panelling that extends beyond the stern of the vessel. Ama Waterways boasts a heated pool where you can wade up to the bar with water seating where you can enjoy a cocktail without even needing to dry off. Sanctuary Retreats’ Sun Boat 3 has a pool designed to resemble the Nile River, fittingly called ‘Cleopatra’s Oasis’, and replete with live palm trees and daybeds shrouded in Arabian style canopies. 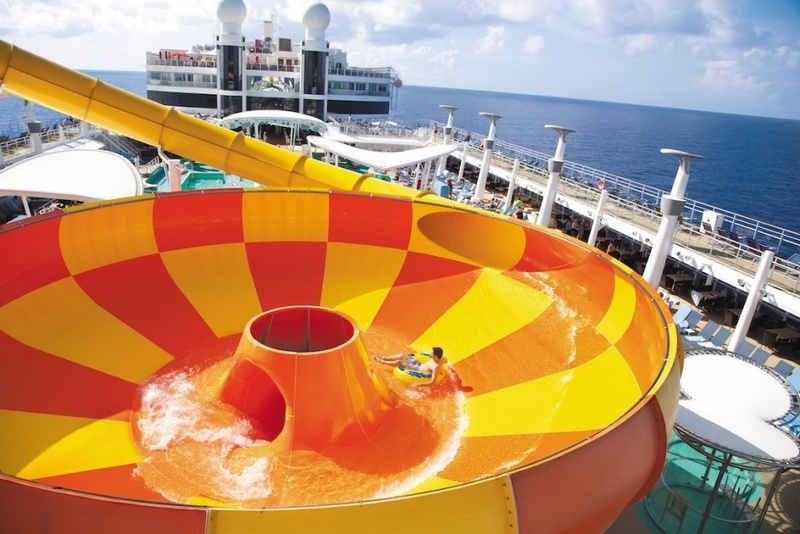 Every cruise ship has at least one swimming pool. Discerning passengers are sure to investigate the features of their chosen ship prior to making a booking. The destinations remain the highlight of any cruise, but onboard amenities and features come a close second, and it’s important to find a ship that suits the needs of everyone in your cruise group. The swimming pool should be one of the first considerations. Which is the best cruise ship pool? Let me know in the comments!